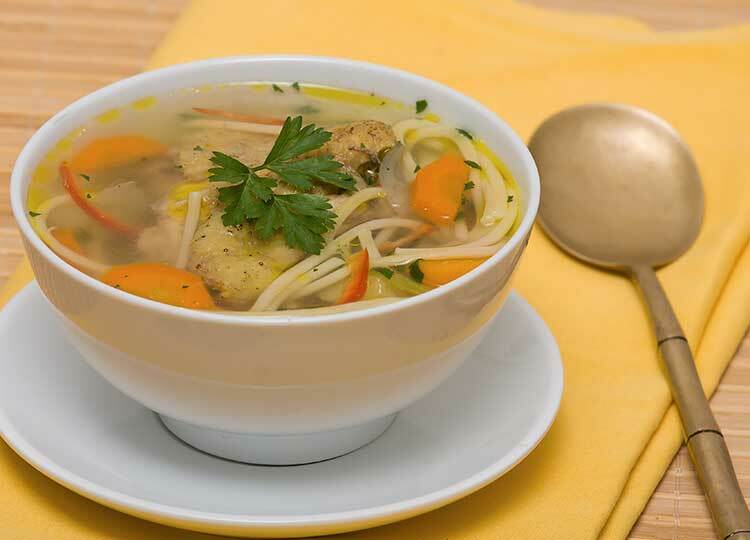 This is perfect for anyone who needs a hot broth soup, and is totally gluten free. My kid's favorite soup, and good enough to serve to any unexpected company. Fill a stock pot with water, and add onion, bring to a boil. Boil whole chicken, then bring to a simmer and cook for one hour. Debone chicken and put as much meat back into the broth as you like. Reserve the rest of the meat for later cooking. Bring broth back to a boil, add other veggies, add rice noodles. Cook according to rice noodle directions. Then serve.